These days, it has become standard practice for film organizations and film-related magazines to publish their picks for the greatest films of all time. A representative sample includes the American Film Institute (which has published two lists since 1998), Time magazine, IMDb, Total Film, and AMC. There was a time, though, when the "greatest film" debate was limited to friends discussing the topic over coffee. That changed in 1952 when the British magazine Sight & Sound published its first poll of the "greatest films of all time." 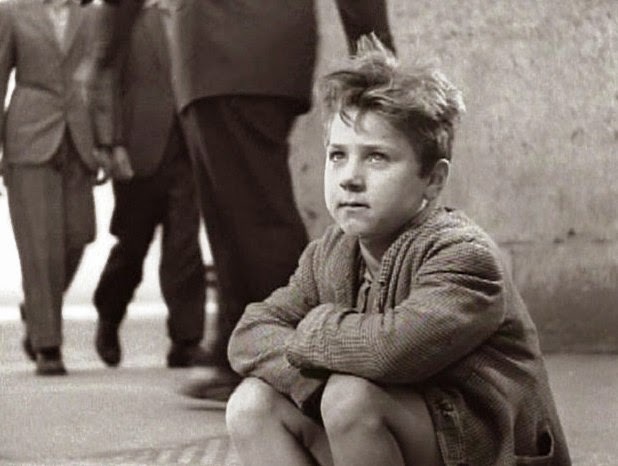 Vittorio De Sica's Bicycle Thieves. This first list reflects a strong European influence with six films made by French, Italian, and Russian directors (and I'm not counting Greed, which the Austrian-born Von Stroheim made in the U.S.). Although there are five American films, it's interesting to note the complete absence of Hollywood "talkies" (although Citizen Kane and The Grapes of Wrath just missed out on the tenth spot). The most unusual choice is Robert Flaherty's documentary-like Louisiana Story (1948), which chronicles the life of a young Cajun boy. Although well-reviewed and Oscar-nominated for Best Original Story, the film is mostly forgotten today (with Flaherty's fame resting with Nanook of the North). Surprisingly, the list also includes other then-recent films Bicycle Thieves (1945) and Brief Encounter (1945). The oldest film earning a spot was D.W. Griffith's Intolerance (1916). 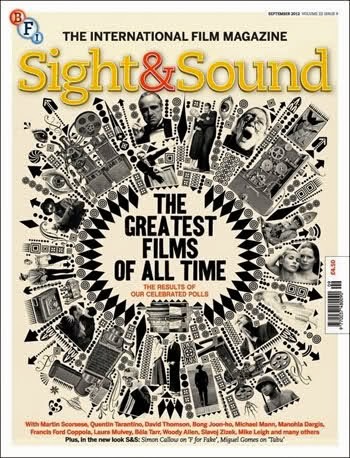 Sight & Sound would not conduct another poll until 1962, thus establishing the practice of a revised "Greatest Films" list every ten years. 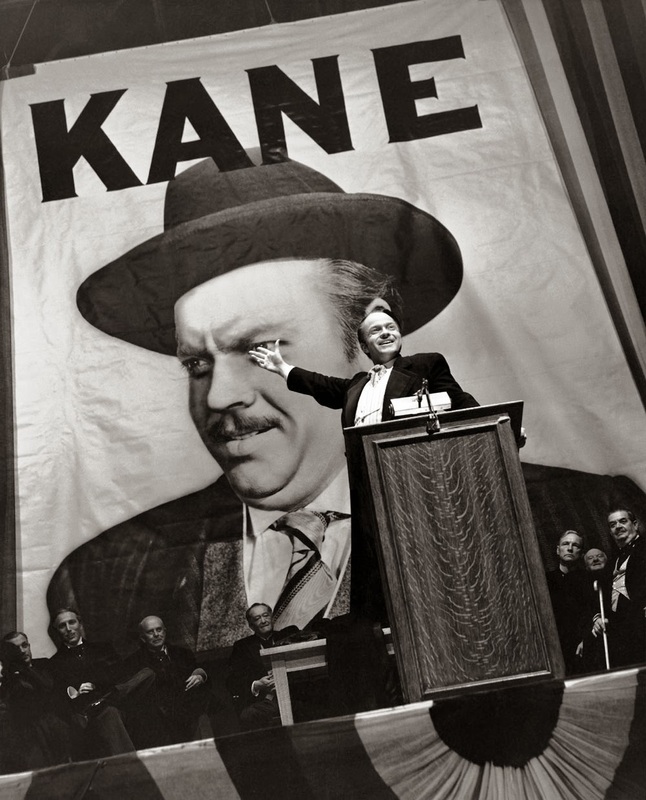 This edition crowned a new #1 with Orson Welles' Citizen Kane claiming the top spot. It would remain there for the next 50 years! Despite the presence of Welles, international filmmakers dominated the 1962 and 1972 lists which featured the works of Michelangelo Antonioni, Ingmar Bergman, Jean Vigo, and Federico Fellini as well as holdovers Sergei Eisenstein and Jean Renoir. Classic Hollywood had its best showing in 1982 when filmmakers Alfred Hitchcock, John Ford, and Gene Kelly & Stanley Donen joined Orson Welles and Buster Keaton. It's interesting to note that Jean Renoir's 1939 masterpiece La Règle du jeu is the only film to appear on every poll from 1952 to 2012. Starting in 1962, it has never ranked lower than #4--which is pretty amazing. I know a lot of people who scoff at "greatest" lists, which--like the Academy Awards--represent the opinions of a relatively small group of people. Personally, I enjoy them if only because they encourage debate (for the record, I'm good with Vertigo in the top spot since it's my 2nd favorite film). And, as "Greatest Film" lists go, the Sight & Sound one remains the most revered. In a 2002 article on the latest Sight & Sound poll, Roger Ebert wrote: "Because it is world-wide and reaches out to voters who are presumably experts, it is by far the most respected of the countless polls of great movies--the only one most serious movie people take seriously." As much as I like Vertigo, always surprises me that it rates SO high. I'm a big VERTIGO fan; it works on so many levels for me. I think it's international acclaim is due, in part, to the influence that Hitchcock had on many European filmmakers. This was a fascinating and interesting read. I enjoyed seeing the films that made or were removed from the list over time. "Citizen Kane" has staying power and, more surprisingly, "The Searchers" did. "The Rules of the Game" has earned a solid place on many lists and I was glad that Hitchcock was represented, too. Great post! Where's LA GRANDE ILLUSION? Just wonderin'. I also can't believe that Jean Cocteau's LA BELLE ET LA BETE was forgotten. Not to mention, THE RED SHOES.